HD of High Definition is a term that is most often used to describe TV sets and videos that have higher resolutions compared to the standard. 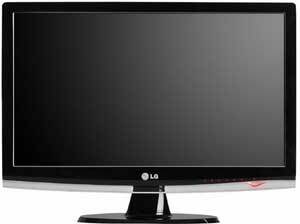 Standard definition TV sets and video are commonly called as 480p, referring to the 480 rows of pixels from top to bottom. HD usually contains 720 or 1080 rows from top to bottom, thus the 720p/1080p designations. The general objective for HD capable screens and videos is to provide a much finer display than SD. This is very comparable to digital cameras and the need for a greater megapixel count to produce better images. The difference between HD and SD might not be very noticeable when dealing with smaller displays. But once you use a much bigger display, it then becomes apparent that the SD picture tends to be blockier or more pixilated compared to HD. This is because of the need to maintain the same number of pixels no matter how big the screen. Smaller screens have smaller pixels and bigger screens would have bigger pixels that might start getting noticed. A 720p display can be up to 1.5 times bigger than a 480p display while maintaining the same pixel size. In order to get the full HD experience, you must have an HD capable TV set and an HD video signal. Having an SD display would simply mean that the HD video signal would only get compressed in order to fit into the display. The reverse would also have the same result; an SD signal would only get stretched to fit an HD display. Although there are TVs that are embedded with complex algorithms that can nicely upscale an SD signal on a HD screen, which results in a better picture than on a SD screen of the same size. It might be good to consider that HD is still not as widespread as SD. There are only a handful of media that are being sold in HD; even less is the number of TV stations that are broadcasting in HD. Buying an HD capable TV set might not result in an instantly better viewing experience across the board, but it prepares you for the eventuality. Ben Joan. "Difference Between SD and HD." DifferenceBetween.net. September 17, 2009 < http://www.differencebetween.net/technology/difference-between-sd-and-hd/ >.